Wyclef Jean has been denied entry into the Haiti bid for president. Haiti’s provisional electoral council ruled the former Fugees star did not meet residency requirements to run as a presidential candidate. The ruling became a concern when Wyclef Jean first announced his plans to run, but he had faith it would not stand in his way. The international superstar and activist is known for his dedication to his homeland of Haiti, which was devastated by an earthquake and suffers severe poverty levels. 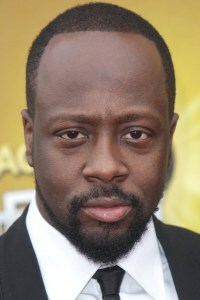 Wyclef Jean was one of 34 presidential candidates running for a coveted place in the November 28, 2010 election. Haiti is searching for a successor to President Rene Preval. Allegedly 19 candidates were approved and 15 were rejected. “I want to assure my countrymen that I will continue to work for Haiti’s renewal; though the board has determined that I am not a resident of Haiti, home is where the heart is and my heart has and will always be in Haiti,” Wyclef Jean said in response to the council’s decision. “We must all honor the memories of those we’ve lost — whether in the earthquake, or at any time by responding peacefully and responsibly to this disappointment,” Jean added. Many feared Wyclef Jean’s denial to run for president would cause an uprising, but everything remained calm and peaceful in the capital of Port-au-Prince.